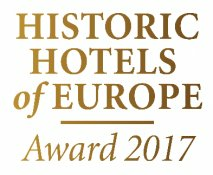 For the sixth year running, Historic Hotels of Europe have announced the winners of its annual awards ceremony. The awards honour the most unique, important and cultural properties spanning across the continent across eight special categories, from weddings to fine dining. The ceremony took place on 20 November 2018 at the legendary Barberstown Castle near Dublin, Ireland which was attended by the first three nominees in each category and dozens of representatives from the finest historic hotels. At the idyllic setting of the Aigialos Hotel in Santorini the members of the Historic Hotels of Europe were united once again on the 23rd of October 2016 for the HHE Award Ceremony. 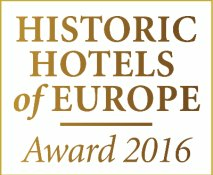 The Historic Hotels of Europe (HHE), the leading name in historical and culturally relevant luxury hotels, honoured some of the finest properties in Europe at the 2016 Historic Hotels of Europe Awards hosted in the stunning Chateau de l’Epinay, France on November 16th 2015. Guests voted for their favourite hotels in ten wide-ranging categories, encompassing romance, legend, fine dining, spa facilities and more. The Winners were announced at the ceremony by the Chairman of the Historic Hotels of Europe, Barbara Avdis. The Historic Hotels of Europe (HHE), the leading name in historical and culturally relevant luxury hotels, honoured some of the finest properties in Europe at the 2015 Historic Hotels of Europe Awards. Hosted in the stunning Hotel Elizabeth in Trenčín, Slovakia on October 27th 2014, the winning hotels were announced at the ceremony by the Chairman of the Historic Hotels of Europe, Barbara Avdis. To discover the ceremony speech of our Chairman, Ms. Barbara Avdis, and the press release “Historic Hotels of Europe Awards 2015 Winners” please click here. During its General Assembly’s at the Amsterdam American Hotel, in the Netherlands, the association HISTORIC HOTELS OF EUROPE honoured its best members with the «AWARDS 2014», according to 10 different categories. During its General Assembly’s at the Barberstown Castle near Dublin, in Ireland, the association HISTORIC HOTELS OF EUROPE honoured its best members with the «AWARD 2013», according to 10 different categories. Historic Hotel with "A Story to Tell"